Usually, every business owner utilizes corporate templates in order to enhance their corporation. 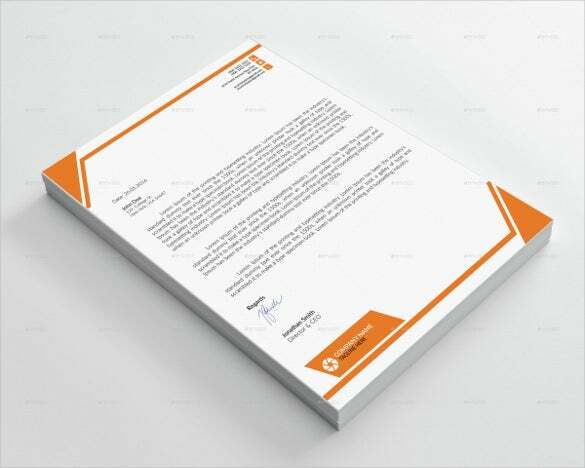 With the use of corporate letterhead template features, you can easily increase corporate for high efficient results. In fact, there are several numbers of platforms is ready to offer this kind of outstanding resources, however, authorized one is the best options for you to get a reliable solution. You can also see Business Letterhead Templates. 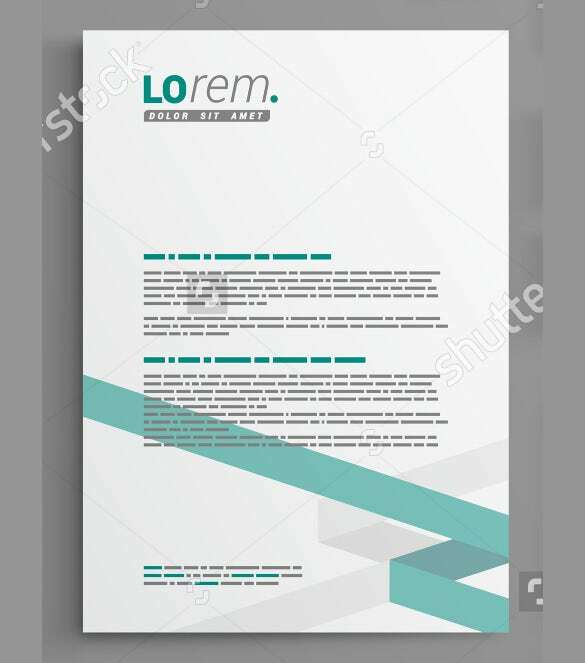 All business Letterhead Templates can with no trouble adjusted to fit different standard paper sizes.Hence, promote your corporate, business solutions, business strategy and your professional picture as well as corporate identity along with these latest corporate letterhead template. The templates can support word and PDF file format. 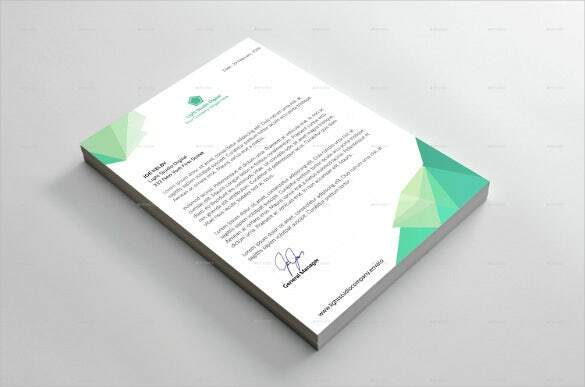 This elegant corporate letterhead template comes with multi-layered design. It is completely editable, 300 dpi resolution and comes with free fonts. It also comes with help file and designed in A4 size layout with CMYK color. 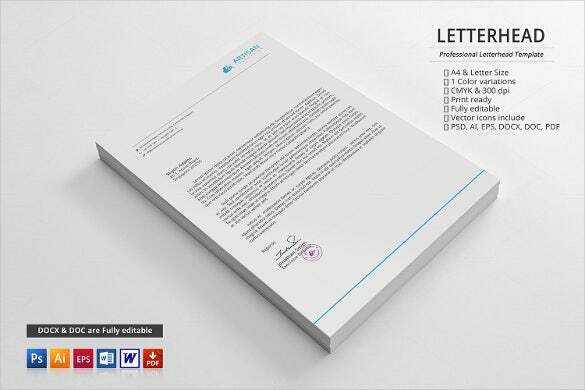 It is attractive and professional letterhead template. This is elegantly designed letterhead useful for corporate and comes with various varieties for different industries like tourism, travel, etc. Its logo design looks professional and eco green leaf logo is very special. 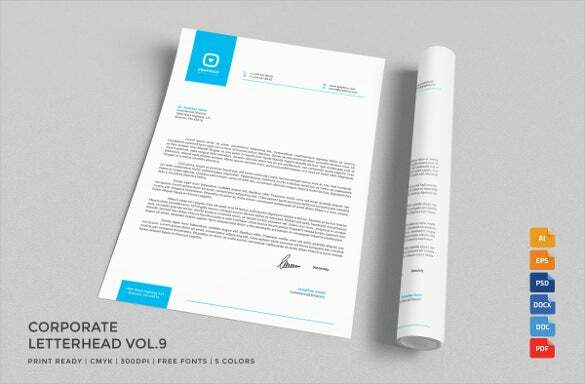 The color blends makes these letterhead template attractive. This template comes with corporate letterhead design as well as different colors like blue, green, orange and red. It allows customizing the text and colors and it comes with printer friendly format. It comes with 300 dpi resolution and includes help guide. 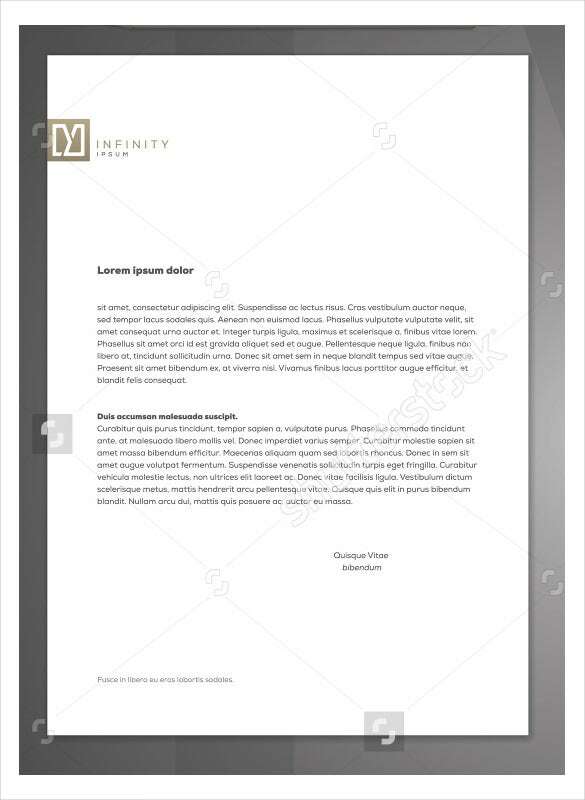 It is entirely layered template.You may also see Free Download Letterhead Templates. 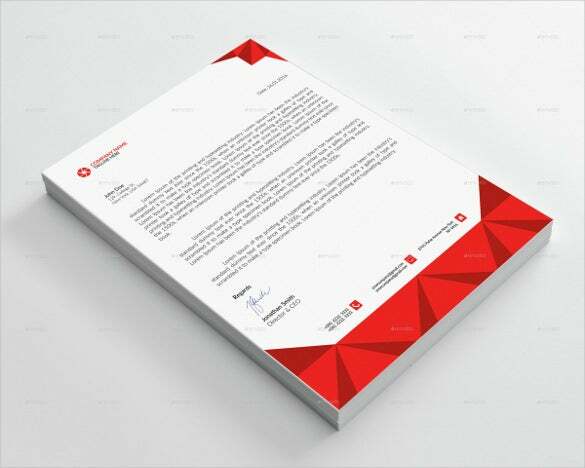 This corporate letterhead identity template comes with best design, minimal style and great look and feel. It comes with professional looking style and logo. It can be downloaded and edited easily. The template design with orange line is very attractive for suits perfectly for corporate. You may also see Small Business Letterhead Templates. 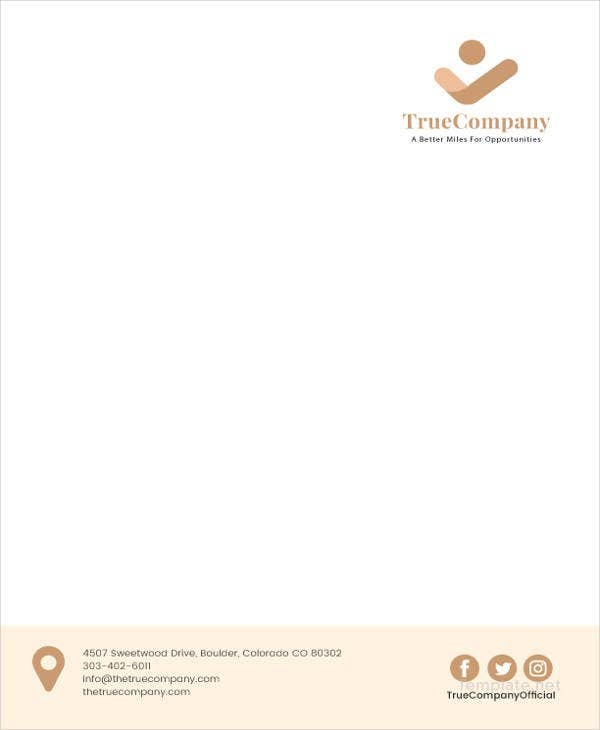 This elegant corporate letterhead comes with color variations, completely layered and editable. It comes with 300 dpi resolution and CMYK colors. It is provided with help file and its size is 8.5 x 11. It allows customizing chief elements and printer friendly format. 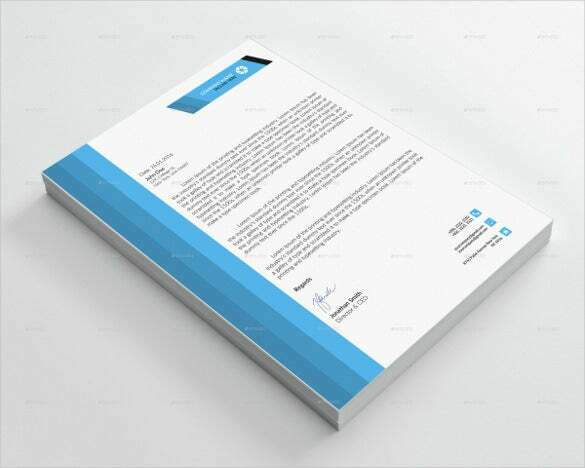 You may also see Professional Business Letterhead Templates. 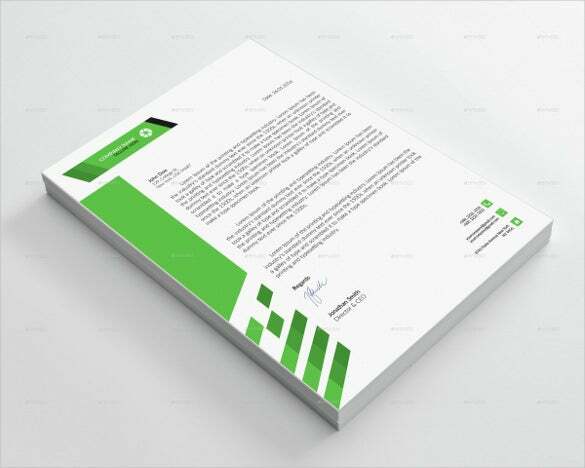 This corporate letterhead template comes with green stripes with white background looks elegant. The red and gray round as well as square elements design is stunning and its looks are very professional. The green and black square elements are classy and has extremely great for corporate. 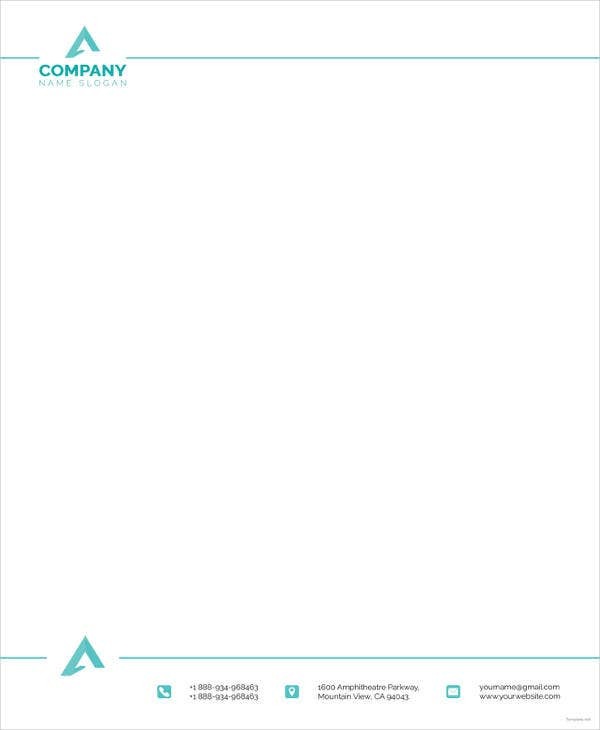 This corporate letterhead format comes with 8.5 x 11 inch size and fully layered as well as editable. It comes with printer friendly format and includes help guide. It comes with 300 dpi resolution and its important elements are fully editable. 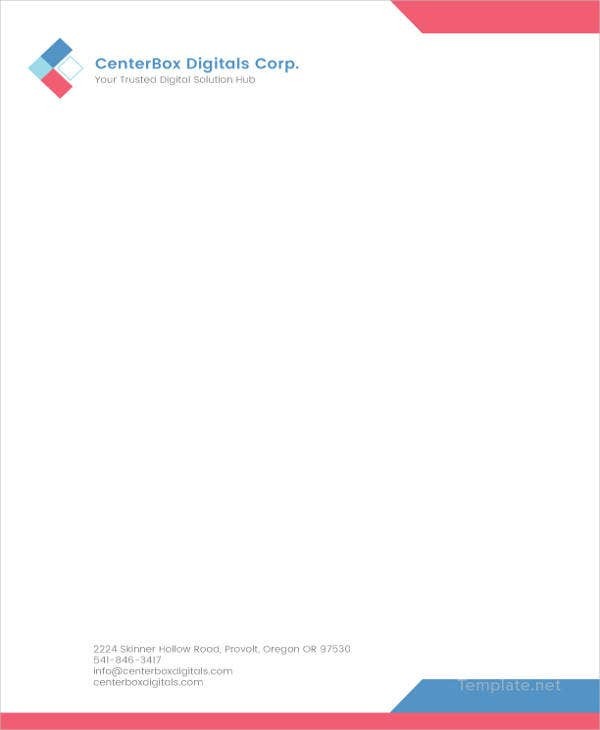 You may also see Simple Office Letterhead Templates. This elegant corporate identity template comes with white background and vector illustration. It comes with different designs, shapes and colors which make it look very attractive. The gray, green and orange shades offer great corporate look with perfect blend of backgrounds. 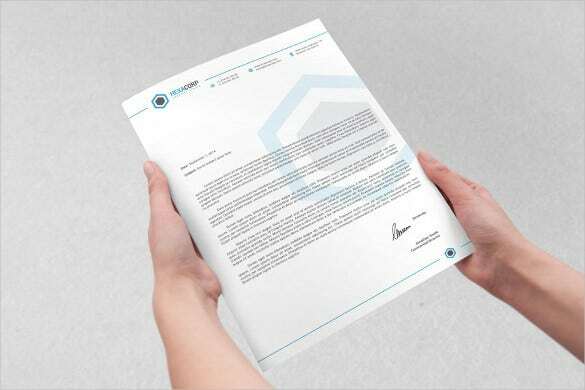 You may also see Best Business Letterhead Templates. 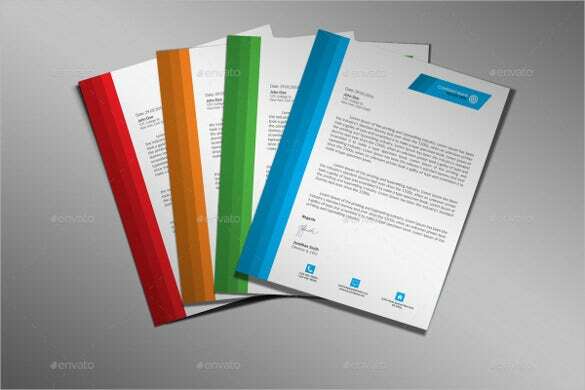 This corporate letterhead design templates come with perfectly designed and with three colors green, blue and red. It comes with 300 dpi resolution and entirely editable layered vector files. It uses free fonts and includes bleeds as well as margins. It provides help guide too. 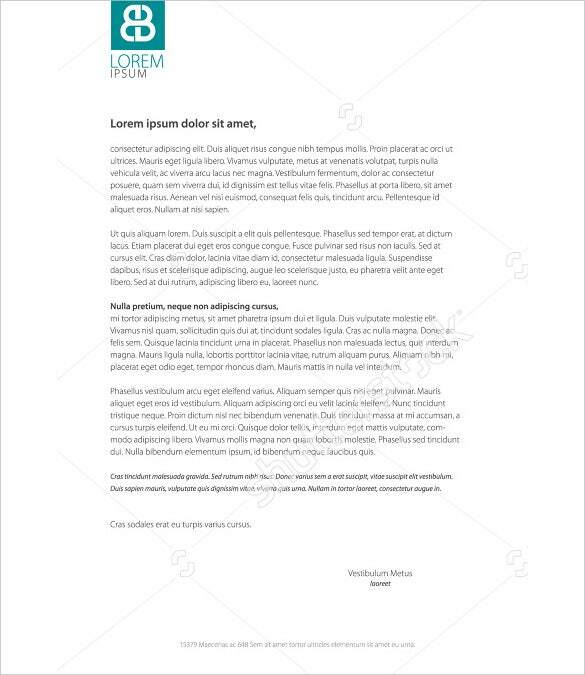 You may also see Legal Letterhead Templates. 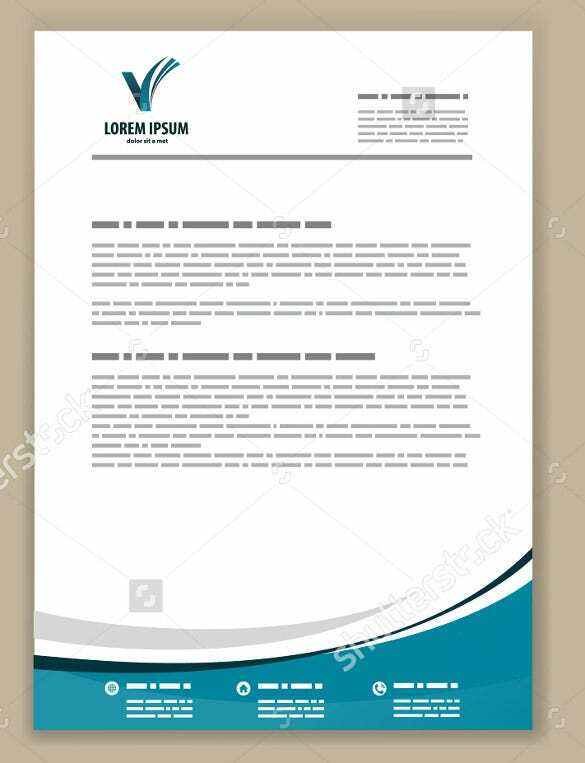 This corporate letterhead template has well organized files as well as folders. It comes with 300 dpi resolution and variant colors. It is entirely editable in various formats and provides clear instructions along with font download links. It comes with corporate letterhead size US letter as well as A4. 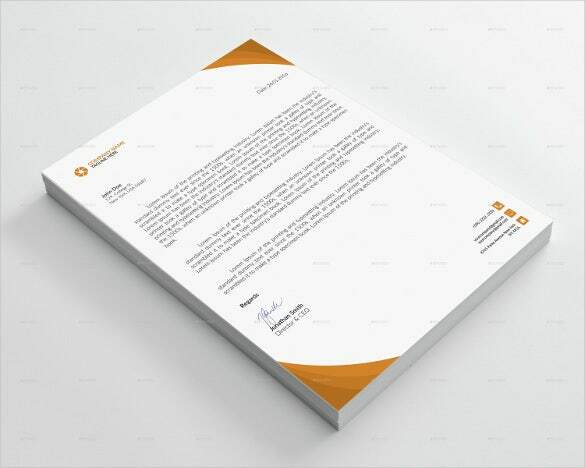 You may also check out here Letterhead Design Templates. 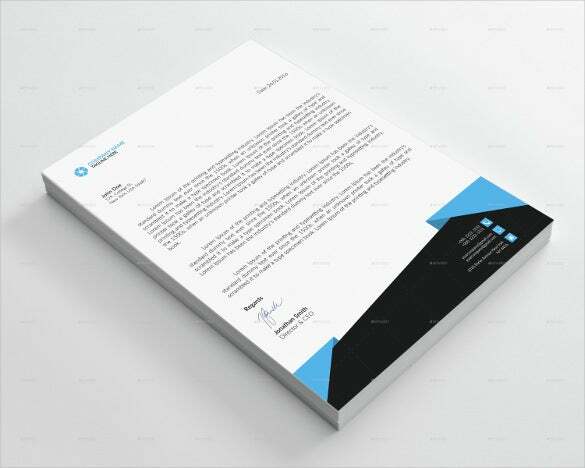 This corporate letterhead comes with black and blue colors as well as text on white background. It comes with 8.5 x 11 inch size and it is entirely customizable with ease. It provides help guide and comes with printer friendly format. 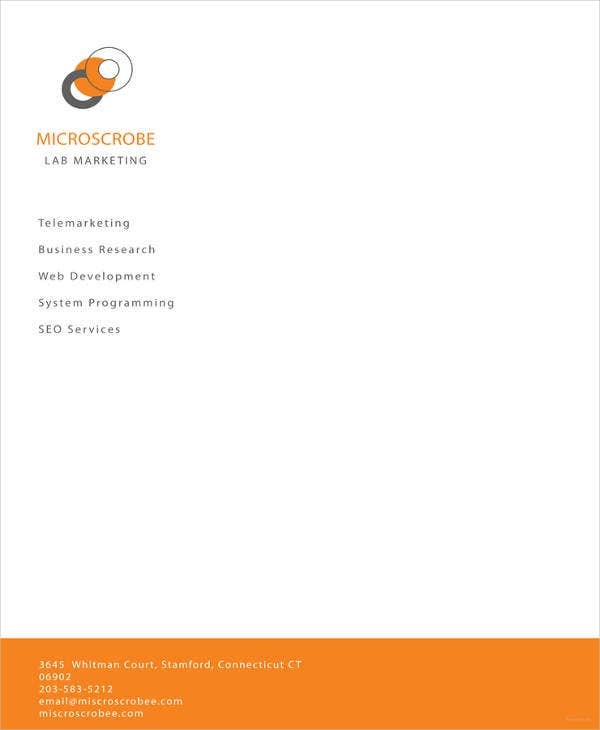 You may also see Email Letterhead Templates. 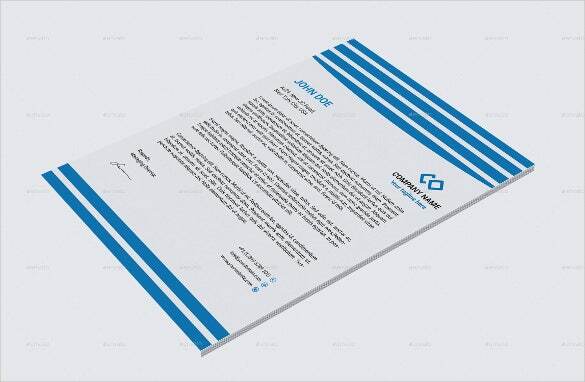 Corporate letterheads requires special attention and they need to be designed with care as well as attraction since they reflects one’s business professionalism. To find more varieties one can search Google using corporate letterhead templates free or corporate letterhead design free download and make use of them for one’s business requirements. You may also see Automotive Business Letterhead Templates.